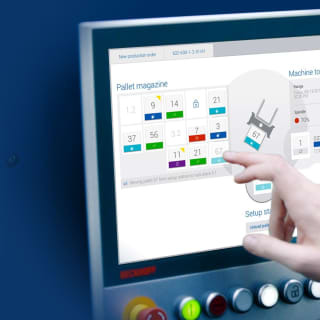 We design the perfect UX for the Smart Factory. 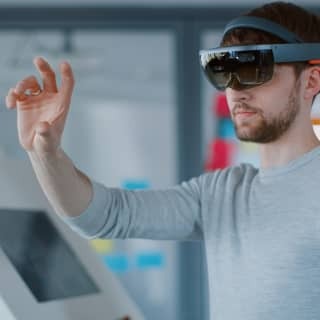 We know how user roles are changing in the future factory, and design the user interfaces for the input devices of the future from smart watches to data glasses. We want to support you on this path of development towards multi-modal operation and linking of human and machine. We help you in the creation of the optimum user experience with an appealing interface design for these types of intelligent software and hardware. Process visualizations illustrate production processes as well as the structure of a machine. They can be used as an orientation aid, for navigation or error tracing. Our spectrum ranges from schematic drawings to realistic 3D models. To meet the requirements in a smart factory, we support you in the development of established operation concepts. The development paves the way to multi-modal operation and extensive linking of human-machine. Augmented reality provides users with the status of a machine at one glance. We continuously experiment and develop with the latest devices. One example is our HoloLens showcase. Industry applications with consistently increasing automation place high demands on user experience. The reason for this is the growing complexity and the increasing variety of tasks for operators. To meet these demands, we always have an eye on the latest standards and guidelines, such as VDI/VED 3850 or ISO 9241 when it comes to design and development.